Oh baby, you'll freeze out there! - Sugar, Darling? Oh baby, you'll freeze out there! I'm one of those ridiculous people that will happily be made kinda uncomfortable by my clothes if it means I look good. Shapewear doesn't bother me, I'll happily wear false lashes and restrictive clothing isn't a bother if I look banging, however when it comes to Winter my tolerance for discomfort hits rock bottom and all I want is to be snuggled up in toasty clothes that stop me feeling the cold. However that doesn't mean that I'll slope around in ill fitting ugly clothes, I want style and comfort darnit but when all you wanna do is wrap yourself up in thick oversized sweaters that can become a little difficult. This is where JD Williams come in and save the day with their gorgeous knitwear range! 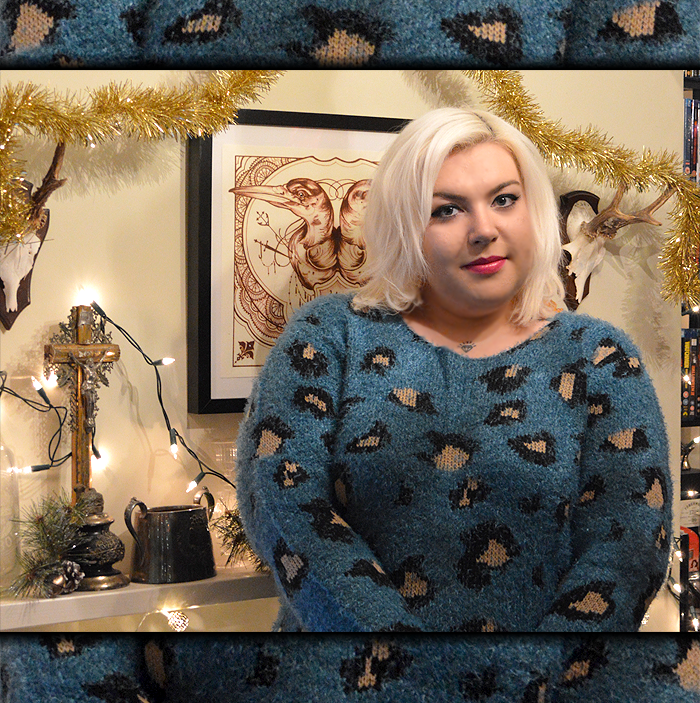 The first piece I decided to try was the Fluffy Leopard Jumper (£25*) in teal. 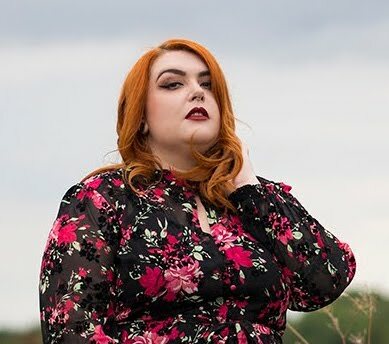 When I'm walking through a shop I can't help but have a feel of any pieces that I like to get an idea of the feel of the fabric and when I spot a fluffy sweater or cardigan I cannot help but give it a stroke to find out exactly how soft and snuggly it is. 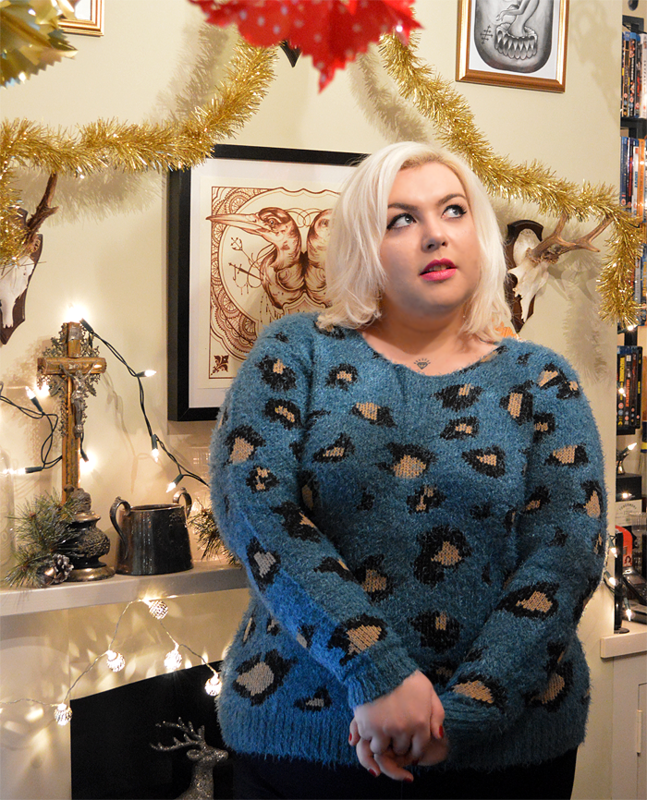 This gorgeous jumper doesn't disappoint and feels really decadent and cosy, but unlike the other fluffy jumper that I own it also feels really good quality with a denseness to it so I doubt that this one will stretch out of shape like my other one did. I also think the leopard print pattern is super adorable and unusual and the colour combo of teal, gold and black works wonderfully - it's also available in baby pink or cream if teal isn't your thing. 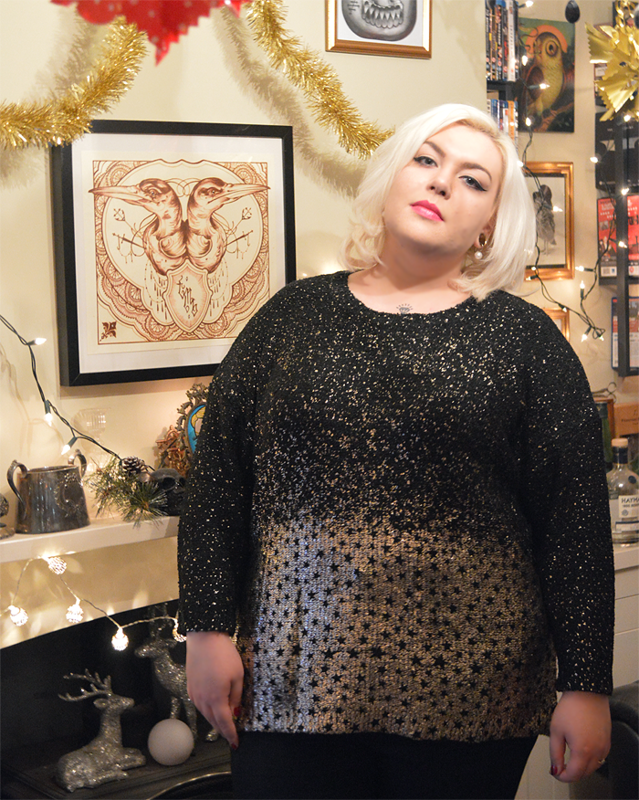 Second up I decided to go for something super glamorous and chose the Edit Star Jumper (£53*). Although this jumper is a little pricier than I'd usually go for, it's so gorgeous that it could easily be worn for a special occasion like a Christmas house party. The gold foil effect really is stunning and these photos don't do it justice, making it look like a starry night sky. The style is nice and boxy and so very on trend and it also features a dropped back and dropped hem sleeves which add a more relaxed feel to this glitzy piece. I was so so pleased with both of these sweaters that I'll definitely be heading back to JD Williams to get some more snuggly pieces some time soon. Perhaps I'll snag myself a cape or a poncho to keep my warm at my desk!